? // Melbourne babes, grab your spot at Shift Your Reality HERE.
? // Join the Abundance Manifestation Challenge HERE.
? 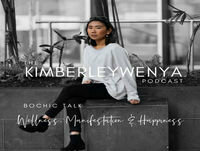 // To check out 1-1 manifestation coaching with Kimberley, click HERE.
? // Get the password to download the Modern Girl Manifestation Routine ebook from the KW resource library HERE!
? // To join The Daily Manifestation Facebook Group, join HERE!